On Monday, July 3rd I went in for what was suppose to be my 20 week anatomy scan. Instead, the ultrasound revealed my baby stopped growing around 16 and a half weeks or so, and there was no heartbeat. 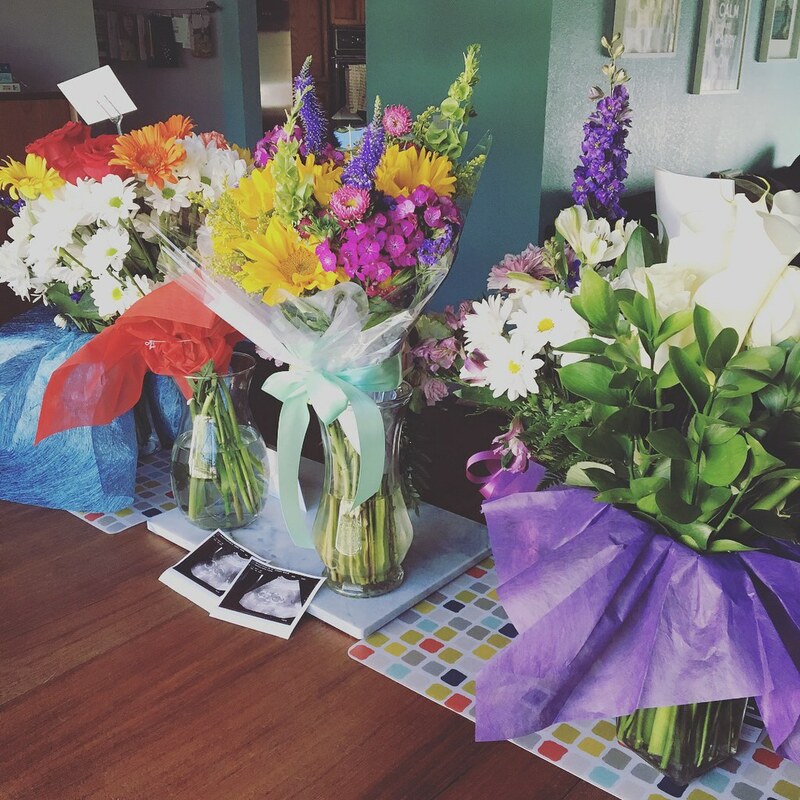 I once again had a missed miscarriage, this time in my second trimester. I was in complete shock. I could have sworn I had felt movement the last few days. I heard the heartbeat at my OBGYN’s office almost a month prior (around the time baby supposedly stopped growing). They called me two weeks ago telling me that my second trimester screenings were all good. I didn’t understand how this could happen. This took me completely by surprise. When I miscarried last time, I had already been spotting/bleeding for a couple of weeks. This time was different. There was no indication whatsoever that anything was wrong. I thought I was safe. Joshua and Dani were with me at my 20 week scan. Joshua hadn’t seen our baby since our first ultrasound whereas I had seen it last at my 12 week back when it was bouncing around like Baby Groot. I was excited for both my husband and sister to see the baby. The ultrasound tech had a difficult time getting the imagery she needed, so she had me empty my bladder and come back. She tried to take more images and then briefly left the room to see if she could pull up my 12 week scans to compare. My heart started to sink, and I began to cry, fearing the worst. When she came back in she continued to take more images and then left to go show them to the radiologist. The tech and the radiologist came back in and delivered the heartbreaking news. At first I couldn’t believe it, insisting that I thought I felt movement over the weekend and recapped on when I last heard the heartbeat and my screening results. The tech did another ultrasound looking for the heart and it showed no heartbeat. The radiologist apologized, giving his condolences, mentioning that his wife suffered through two miscarriages as well, and encouraged me not to give up. It didn’t matter. I cried and cried. Joshua and Dani held me and cried with me. I asked him if this would be considered a stillbirth at this point. He said it’s a late miscarriage because it technically occurred before 20 weeks. He would immediately get my results to my OBGYN, and said that I should follow-up with my doctor regarding next steps. Dani drove me home after the appointment with Joshua following in his car (he had to stop at work real quick to check-in). I called my work and informed them of the situation. Originally I was planning on going to work after my ultrasound, but plans had definitely changed. I already had an appointment scheduled with my OBGYN for Friday, but since circumstances had changed I called them to try to move up the appointment. My doctor was on vacation so the soonest they could move my appointment up was one day. They had gotten my results from the scan by then, and given the change in events they assured me my doctor would call me later that day to follow-up. An hour later my doctor called. I told her how I didn’t understand how this happened given how good everything was going and that I had no signs that something was wrong. She said it was possible the heart finally stopped beating recently even though growth had stopped a few weeks prior. It didn’t make me feel any better but it was somewhat of an explanation. She said they’d be referring me to UC Davis Medical Center where my choices at this point would either be delivery or a D&E. They’d have to get my referral authorized by my health insurance first and since they were closed for the holiday the soonest I’d know would be Wednesday. They were hoping to get me in by the end of the week. All I could was wait. I only had the courage to tell my boss and my parents what had happened. Joshua broke the news to his family, and both moms called me to checkin and offer solace. The next couple of days were hard. So many things triggered me. Having to remove any baby-related dates from my calendar, packing up all my maternity clothes into a bag, and of course the nursery itself. I started to cramp lightly and had some lower back pain, but I couldn’t trust my body to know if they were pre-term labor signs or just psychological. I was scared my body wouldn’t hold on till the procedure was scheduled. My mother-in-love was in town on her way to a convention and stopped by to visit on the 4th. With her nursing experience I was able to ask her questions on how the procedure would go, what would happen after, and signs to look for if I needed to go to the hospital before the procedure could be scheduled. She cried and prayed with us. I’m so glad she was able to visit and give us some comfort. Thursday, July 6th was the first day I started to get some answers. I got a call first thing from UC Davis to schedule appointment 1 of 2. I would see them after my appointment with my OBGYN. Joshua and I met with my OBGYN where she did another ultrasound confirming what imaging saw on Monday, and she gave us a few final photos of our baby. Of course the question on my mind was why did this happen. Based on how well my pregnancy was going and that there were no other red flags, she believed it was most likely another chromosomal abnormality situation. She didn’t think it had anything to do with my PCOS, and she said based on what she has seen in this scenario she’d be very surprised if it happened again. But of course this was all going to depend on what UC Davis would find. We met with the doctor and his team to go over the procedure (D&E) and what would happen before, during, and after. The only good thing about this is that I would be under general anesthesia and physically wouldn’t endure the amount of pain I dealt with the last time. In regards to reasoning, he reiterated a lot of what my OBGYN said, and he believed that this miscarriage and my last one had nothing to do with each other. However, because this one happened so late in the game, they would be doing genetic testing to see what’s going on. In other words, at this point the cause is unknown. Next I had to endure what I believed to be the worst part of the whole procedure. I had to get dilators inserted into my cervix so it would open in preparation for my surgery the following day. After that, I got my blood drawn to verify my blood type, and I picked up prescriptions for antibiotics and pain meds. Then I went home. We went out to dinner with Dani later on which wasn’t easy, but it helped some to get out of the house. UCDMC called me a few hours later to confirm my surgery time for the following day. The next day (Friday, July 7th) Joshua took me back to UCDMC where I had my procedure. I checked in at around 9:50am and by 10:45am I was already hooked up to the IV and ready to start receiving anesthesia. Before I knew it, the procedure was over and I was recovering. Joshua came in and told me everything went smoothly. The chaplain performed a blessing, and they were able to get us footprints. The doctor said they would do a full pathology report to test for chromosome abnormalities and gender. Based on those results, which I should get in about 4-6 weeks, they would possibly send me for additional testing. He said for me to wait two months before I go back on the Metformin and wait at least three months before TTC again. He made recommendations on other testing I should do when I get pregnant again, regardless of the pathology report. He also recommended I see a high risk obstetrician. It’s been a really rough week for the both of us. The grief hits in waves, and I can’t predict what’s going to trigger tears. This is definitely much harder than the last one because I truly thought this was my rainbow baby. I thought this was meant to be given the timing on everything and how the pregnancy appeared to be progressing without any problems. Now, I don’t trust my body. If I get pregnant again, I’ll have to wait even longer before I feel safe; who knows, I might never feel safe. I hate the uncertainty this brings. It’s absolutely devastating. And worst of all, November will now be another missed due date in addition to a miscarriage anniversary. It’s difficult to heal from this one. It’s so hard to be hopeful. Every time I try to be hopeful, I get sad because I don’t know why this happened, and I don’t know how to prevent it from happening again. Thank you to everyone that has reached out with flowers, love, support, and prayers. It has meant the world knowing how many people care about us. I hope one day I can share the good news again and this time it be for real. You are so strong to share this with us. I am praying for you guys. I can’t even imagine the pain you are feeling. Sending you lots of love!! I am so sorry you have had to go through this. It is the hardest thing I can think of. I am so glad you have such a great support system around you. I am so saddened for the loss of your son or daughter. He/she was so loved and will always be remembered. I hope they can figure out the cause for some peace of mind. Lots of love. I am so sorry for your loss. I remember when I had my first miscarriage. It wasn’t as devastating as yours, but it still hurt just as much. My prayers are with you, and I hope in time, God’s words will help you heal. I am so, so sorry. Praying for strength for you and your husband, and your circle. Please know that you aren’t alone in your grief and that you have support from us out here any time you need it. Thank you for sharing your story. Oh…Cristina 😞 I’m so sorry to hear about your loss. And Josh’s loss, and you families’ loss too. My heart is breaking for you, I can’t imagine how hard this must have been for the second time. I can understand anything would be triggering for you right now considering your journey so far, especially with this little one. Reading your post, all I can do is cry because our situations are near identical. 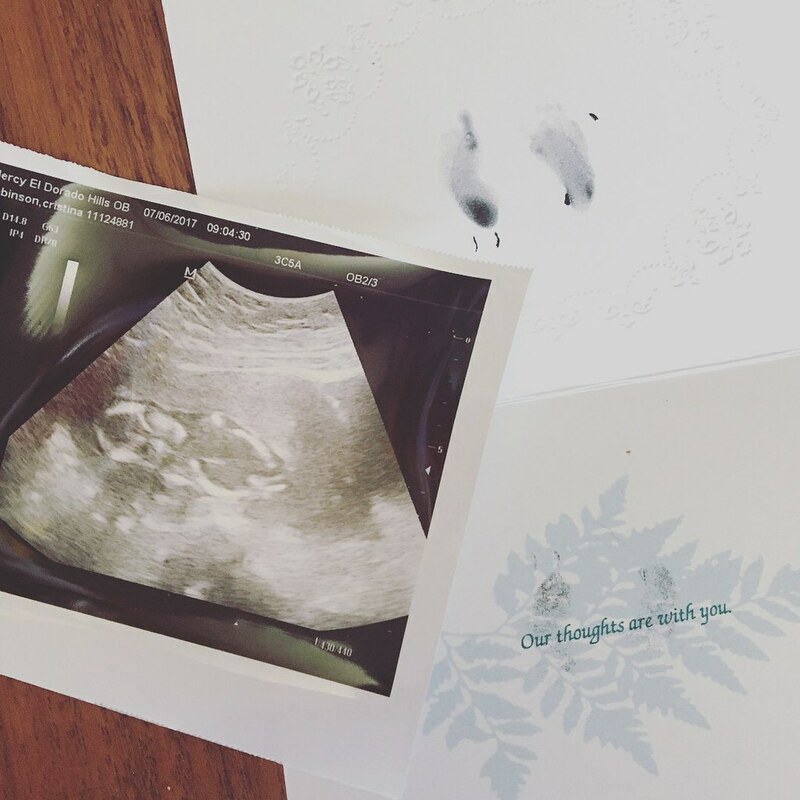 We lost a little one at around 10 weeks and it was so hard to take because we had tried for so long due to my PCOS. The second time around, everything seemed to go so smoothly until my membranes ruptured at 17 weeks. I still can’t understand it. We named our little boy Matthias Asher and the little one before him, simply, Angel. I know the emptiness all too well and I am so sorry you have to go through this. I recently started following your tweets and it’s so inspiring to see that you are taking the steps toward healing. It’s something I’m struggling very hard with but when I see other strong women strive after something so heartbreaking, it gives me just a little more strength.